Travelling through time and with the advancement of technology the basics of our communication has changed dramatically. There were times when calling had the most important in our life, but technology has provided us several other ways to connect with each other. All modern means of communication are quick and efficient but are they real time?? Can we feel the other people’s presence or emotions through texting or email?? Only calling can give you a real-time connection. Calling make you realize that other person values your time and giving you a proper time. Different call packages by Warid gives you the freedom of making unlimited calls to all networks in Pakistan. Warid defines daily, weekly and monthly call packages to provide you ease and reliability. 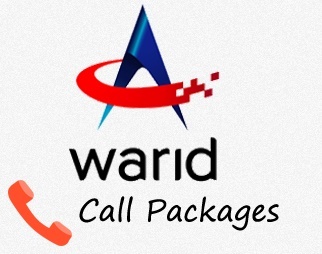 These call packages are specially introduced for the prepaid users of Warid. Talk unlimited for an hour with Warid hourly call package. Incentives of the offer are given below. SMS “FIND” to 2742 to get subscribed to hourly call package. 4 + tax will apply from 11 pm to 7 pm and Rs.8 + tax from 7 p to 11 pm. Subscription charges of Rs.3 + tax will apply. Ghanta offer is an incredible package which gives you the benefit of calling in the available time. Type “Gh” and send this SMS to 3333. You can call from 12 am to 6 pm at the rate of Rs.2.9 + tax/hour. The subscription charges of ghanta offer are Rs.2.99 + tax, and daily fees are Rs.5. With power pack package you can enjoy calling to any on-net number. Here is some important detail. Activate the power pack offer by typing “P” and send it to 777. It will give you 5 on-net minutes, 100 SMS and 5Mbs of the internet. Rates of Rs.4.99 + tax will apply for this package. SMS “PK” to 4337 to subscribe Pakistan offer. It gives you the benefit of calling from 6 pm to 8 pm. You can avail the offer in Rs.12 + tax. Dial *99*11# to get the subscription to daily bundle offer. 200 on-net minutes, 10 minutes to other networks, 300 SMS for all networks and data volume of 30 Mbs. Type “BAAT” and send to 4337. Make the unlimited call in 0.02/sec per call rates and also avail 5 Mbs of the internet. Subscription charges are Rs.7.99 + tax. Unlimited calls, 50 SMS to Warid numbers and 5 Mbs internet. Subscription charges are Rs.10.99 + tax. The lowest rate of 20 paise/ minute will be charged. The charges of Rs.7.99 + tax will apply. Type “ON” and send this message to 4337. The cheap rate of 20 paise/ minute will be charged. The charges of Rs.5.99 + tax will apply. These are complete details of daily call packages by Warid. Choose your package and start calling daily. Weekly we made hundreds of calls to friends and family due to which we soon ran out of credit and had to recharge our mobile weekly. Now you can get rid of this tension by subscribing to incredible weekly call packages by Warid. 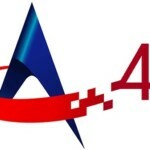 Warid introduced two weekly packages so far. Activate this offer quickly by sending “WO” to 3333. You will get unlimited On-net minutes from Warid to Warid, 1000 SMS for all local networks and 250 Mbs of 2G and 4G internet. Charges are as low as you expect, i.e., Rs.80 + tax for one week. This offer will give you everything in sevens for seven days. You will get all benefits of this package for a week. Dial *99*7# to activate the offer. 700 on-net minutes, 70 off-net minutes, 700 messages and 700 Mbs of the data network. 99 + tax will be charged to avail the offer. Call packages which most people use for their ease and convenience are monthly call packages. Become relax for a whole month by availing any one of the monthly call packages by Warid. Monthly packages will save you from recharging your mobile again and again. Pick up your phone and dial *99*33# to activate the package. Get the benefit of 1500 minutes from warid to warid, 100 minutes for all other networks, 1500 SMS for all networks and 1500 of Mbs. 520 inclusive of tax will apply. Other call packages are those that do not fall in the category of daily, weekly or monthly packages. These are introduced by considering the needs of prepaid users and ease. This offer will give you al benefits for three days including free minutes, SMS and Mbs. Following are the details of 3-day bundle offer. Activation code for the offer is *99*1#. 300 free on-net minutes, 30 off-net minute of calling, 500 message to all networks and 500 Mbs of data volume. You will be charges Rs.70 + tax for activating the offer. You can activate the offer by dialing *99*1# from your postpaid connection. You will get thousands of benefits, i.e., 1000 on-net minutes, 1000 SMS and 1000 Mbs for lightning tez internet. You just have to pay Rs.200. Get subscribed to unlimited hybrid offer by dialing *99*2#. 2500 minutes from Warid to Warid, 2500 SMS to all local networks and 2500 Mbs of data volume. You will get this offer at Rs.400 + tax. Now you can make calls to on-net as well as off-net numbers with the super monthly package. Other than free minutes you will also get the benefit of SMS and free internet. Pick up your phone and dial *727# to activate this offer. 1000 on-net minutes as well as 250 off-net minutes, thousands of message and bundles. 500 will apply for the super monthly bundle. By dialing *727#, you can activate the offer. Get the benefit of 2500 on-net minutes, 500 off-net minutes, 2500 SMS and 2500 Mbs of tez internet. Charges of Rs.1000 + tax will apply. Pakistan’s most extensive network Warid is giving you a long list of call packages for both prepaid and postpaid customers so you can choose the best package according to your need and affordability. 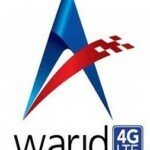 If you are not Warid customer then do not be upset, get your Warid sim now from near retailer or any Warid franchise and start enjoying all call packages at reasonable rates.